Holidays are fun. Planning holidays are not so much fun. Well for me anyway. I know some people who get off on planning travel trips and making itineraries for the group. These people are great to have around and go on holiday with. But these people are not always available to go on holiday. So planning your own holiday is something that we do at some stage in our lives. It can be stressful, it all depends on your tolerance for stress and your organisational skills. At the moment I am planning a trip to India and in the midst of some stress related activities. There are lots of things to take into consideration when embarking on an adventurous journey from what to pack to social etiquette in countries that you have never been to then there is always the visa thing. The whole visa issue is pretty annoying and requires some foresight and planning. They should just open the borders up and make life easier on me. Oh and everybody else. When traveling to a country you should at least give yourself a week to plan for visa related issues. For India, I had to allow four days for my visa to be approved. The visa process is usually pretty easy but now there are so many scam websites which promise fast visa approval, but of course, these are not legit and will end up screwing you over when you arrive in the country only to be turned away by authorities. When applying for your visa it’s always best to use the government website to avoid scams. Sometimes it’s hard to find the official websites as a lot of the scam sites have official government sounding names and some even end in .org just to confuse you and make the process a little harder. If you’re lucky your government will have their own travel website that will link you to the official visa site for the country, you intend to travel to. The Australian government does luckily and I made use of their service when it came time to booking my visa and it made life a little easier. After you have the visa thing sorted it might be worthwhile checking out if you need a ticket out of your holiday destination to get in. You may need to already have purchased a flight out before you can get in. Apparently, for India you do need a ticket out. Although I have been told that I need a ticket out for other countries. Then I’ll quickly jump on my phone and go buy, only to return to a different customer service rep who doesn’t even ask for one. I think it’s a bit of a lottery sometimes and if you happen to get a customer service rep on a bad day they will make your life a little more difficult. Then there is knowing what to pack. This is definitely not my strong point, although I do take more underwear than I need. That is a solid tip. Pack lots of undies. It might also pay to check the weather of the place you’re going to and pack your wardrobe according to the weather. It seems obvious but common sense can be a rare thing these days. Then you have the stress of trying to learn some of the countries customs so you don’t put your foot in it and wind up lynched by a mob of angry Indians for pointing at something with your foot. Apparently, it’s a big no-no because the foot is the lowest part of the body. Each country will have their own set of customs that may seem weird to you but it is what it is so you just have to deal with it and do some research. Then there is the stress of messing around at the airport. This is one thing I try and avoid at all costs but rarely do because there are not many boat trips and it would probably take too long anyway. The whole airport debacle consists of a list of things to consider such as transport to and fro. Do you use the park and fly service or catch an Uber? Another thing to consider adding to the list of things to do before getting to the destination. For a family, the stress of travelling and the preparation needed must be horrendous. I can barely organise myself, let alone a bunch of small people who are relying on you for their every need. Oh to be a child, you can just tag along without a care in the world. 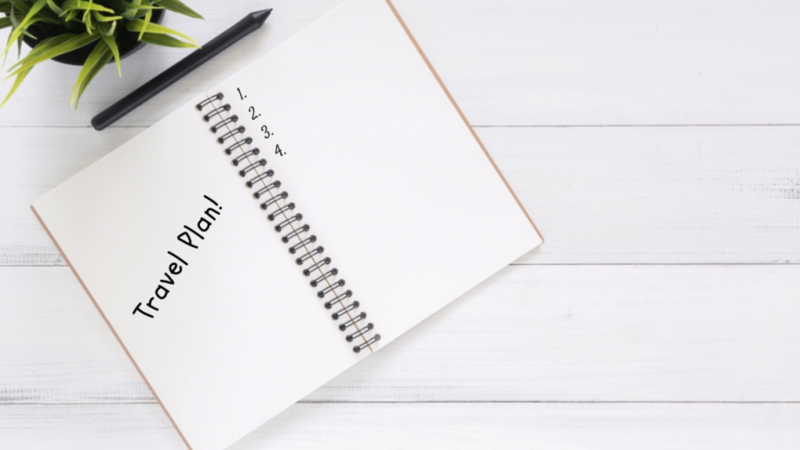 Travelling can be stressful, but like all things, a little planning goes a long way and if you get your affairs sorted early it really can reduce the stress to a minimum. Just take a deep breath, make a list and slowly work your way through it. Visa, tickets, luggage, all that sort of thing. Tick them off and enjoy the release of endorphins and more importantly try to enjoy your holiday!